Bottom Line Up Front: This is a Gentex/Ops-Core Helmet with genuine Ops-Core hardware at an amazing price! 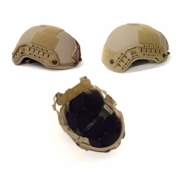 A Mission Configurable version of our Advanced Combat Helmet (ACH), the Tactical Ballistic Helmet-II Mission Configurable (TBH-II MC) is capable of integrating a broad range of organic and third party system components that enhance survivability and increase situational awareness. The Ops-Core Skeleton Shroud and Accessory Rail Connectors (ARC) provide the foundation for true system level performance, while the Ops-Core retention and suspension systems deliver immediate improvement in overall stability and comfort. 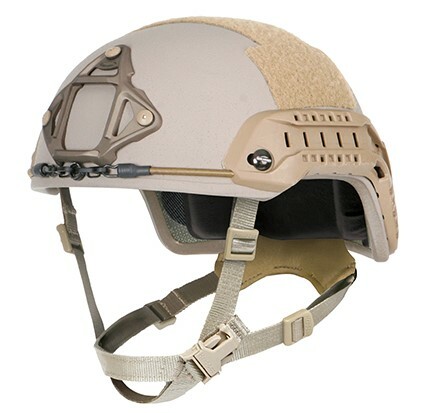 The end result is an affordable ACH-based variant of the broadly adopted Ops-Core FAST helmet line used by the Special Operations Forces world-wide. • Conform to the performance requirements of U.S. Army specifications PS-0428, including the NIJ IIIA 9mm FMJ protocol. 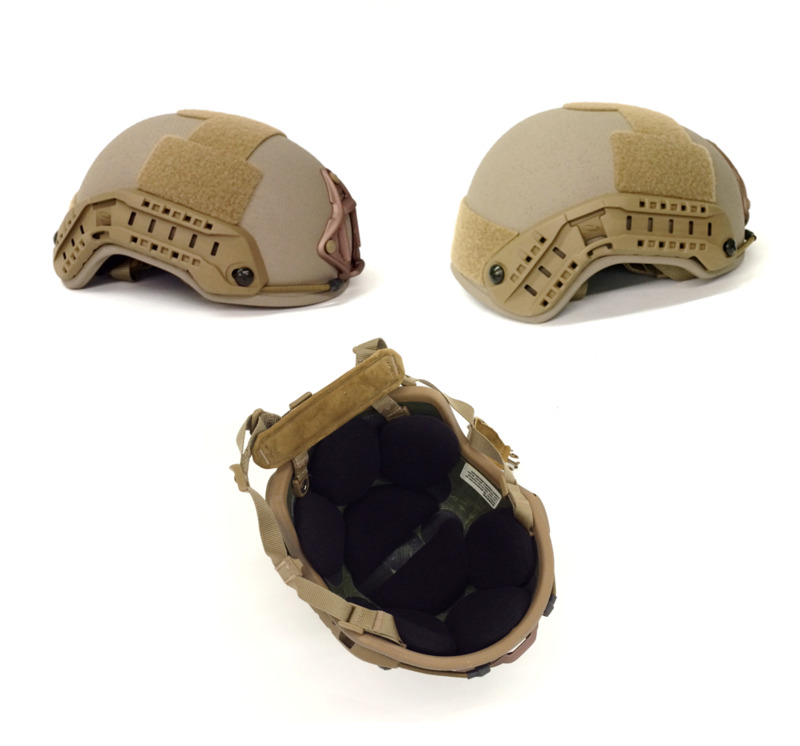 Sizing and Parts: based on ACH Helmet fitment, will accept most Mil-Spec ACH hardware and parts. Purchaser is soley responsible for complying with all applicable laws. Purchaser assumes all responsibility for their purchase, to include knowing local laws regarding body armor. Law Enforcement or Military only for Connecticut residents. Email or call us regarding sales to Connecticut residents. OPT assumes no responsibility for body armor purchases made in violation of federal, state or local laws. (R)= No Export Sales, Restricted to US orders ONLY, if where you are requires a customs label, we cannot ship armor items there, this includes APO/FPO addresses. YOU MUST EMAIL US A COPY OF YOUR CURRENT VALID DRIVER'S LICENSE OR MILITARY ID BEFORE WE WILL SHIP YOUR ORDER. NAME ON THE ID CARD MUST MATCH THE NAME ON THE ORDER.